Original Aerosmith tour van found in small Massachusetts town by "American Pickers"
Four decades ago, before Aerosmith was selling out stadiums, the band was traveling New England and trying to become a household name. The band members rode in a funky 1964 International Harvester Metro van with a cartoon man and "Aerosmith" painted in bright colors across the side. Decades later, the dated yet iconic van has been found, and the people who located it know a thing or two about nostalgic vehicles. 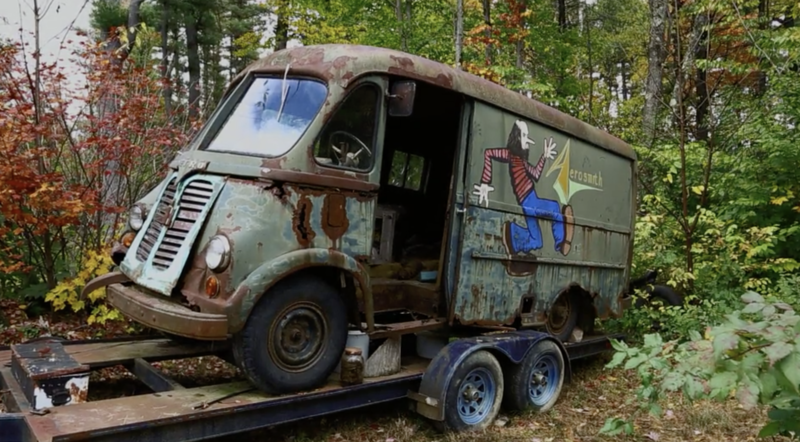 Aerosmith's original tour van has been found in a small Massachusetts town by the hosts of "American Pickers" -- more than four decades after it was abandoned History Channel/"American Pickers"